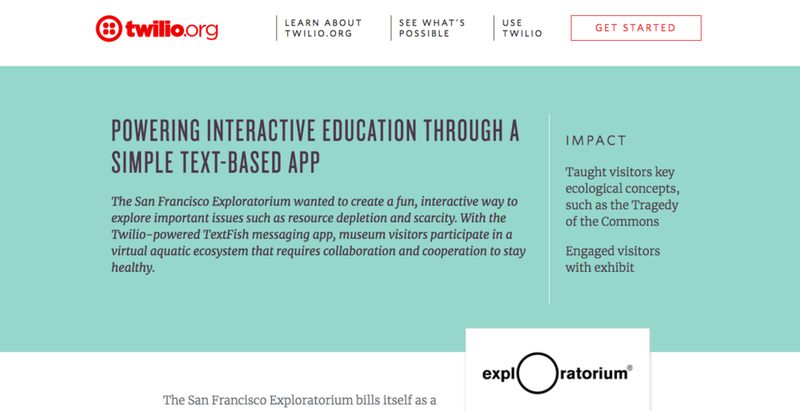 Understanding Twilio's potential, I conceived a scalable multi-person game of fishing with text messages, then reached out and established a corporate partnership. In the video below, I describe the exhibit at Twiliocon/Signal. User research shows visitors experience impacts their behavioral choices have on sustainability after using TextFish. Twilio's website contains additional details. New Media fellows collaborated on system development.